People who let their dogs run off-leash have to be right up there with bicyclists in their arrogance in thinking that the law applies to everyone but them. I have lived near several parks over the years, mostly those requiring dogs to be on a leash. Many dog owners flat ignored the law, allowing to their to roam free, chasing wildlife, otheer dogs and people. They also rarely clean up after their dogs. 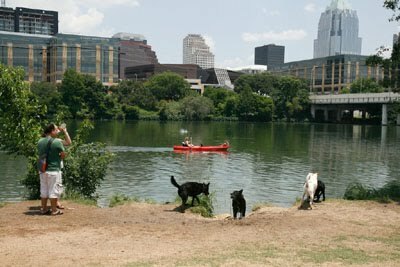 I have not been to Bull Creek park in a while because last time I was there it was chaos with dogs running everywhere and after everything. Lots of dog poop. Too many of these dog people have no respect for others or for the parks. The city either needs to begin fining these scofflaws, or quit pretending we have laws agains dogs running wild and pooping anywhere they please.